GHS was well represented at the Conway Area Youth Leadership Institute (CAYLI) Graduation Reception this past weekend. 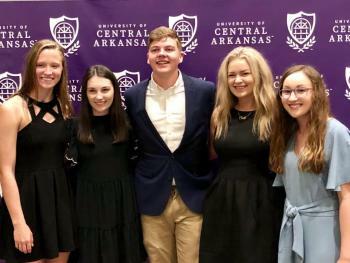 Haleigh Moss, Scout Burchfield, John Hiland, Rileigh Abrahamson, and Hope White have all participated in this year long program. The CAYLI program focuses on community outreach and building leaders for tomorrow.